Breast cancer is the most common cancer in women across the world. Although millions of women are diagnosed with it every year, there is hope. Research has made significant strides over the past decade, resulting in the development of aggressive treatments for breast cancer. These advances give physicians more options for treatment while reducing the need for radical surgery and massive doses of radiation. 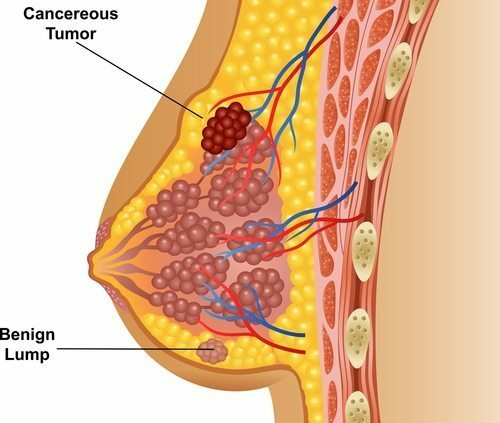 In fact, in a growing number of cases, the traditional mastectomy, which involves the complete surgical removal of the breast, is avoided using a combination of minor surgery and highly targeted Proton Therapy. Proton Therapy has become a viable option for breast cancer patients because it limits radiation exposure to just the cancerous tumors. Traditional radiation therapy cannot be narrowly targeted and as a result, it carries the risk of damaging the lungs and heart, and causing secondary malignancies. It also commonly causes cosmetic damage, rib fractures and skin deterioration. Proton Therapy helps to avoid those risks by delivering powerful doses of radiation to an extremely precise treatment site. It is a powerful weapon in the battle against breast cancer, that is gentler for the patient and improves quality of life during treatment. Studies have shown patients, particularly those diagnosed with cancer of the left breast, receive doses of radiation through conventional radiation therapy that put them at significantly higher risk for heart disease later in life. “Treatment planning techniques, like proton and intensity-modulated radiation, allow for much better dose conformity,” said Laura M. Freedman, MD, assistant professor, director of radiation oncology, Sylvester Comprehensive Cancer Center, University of Miami Health System.